only about a week to go before the final hand ins/exhibition and stuff, currently revising the second draft of my dissertation and it`s going really well 🙂 all the work is done, just need to prepare everything for hand in and get my bloody highlands.exe working in the user interface. i`ve not mentioned so far, but i got together a team for dare to be digital this year, and we`ve made it up to the interview stage thus far. heres some rudimentary mock up concept art for our interview next week. the art style is inspired by paper mario & wallace and gromit. gameplay is like fez. the fact we made it this far is suprising for a bevvy of reasons. we got the team together and the pitch together within a week before it had to be handed in. the video is a really, vapid see through gimmick using live action paper and clay. and my entry last year was far more thought out and just generally better, yet we didnt even make it to the interview stage back then. i`ve had contradictory feedback both times, the same features are often praised and derogated and it boggles the mind. regardless of whetever we get in or not, i wont lose any sleep over it. if we do get in however, i`ll make up a bigger post detailing the concept. 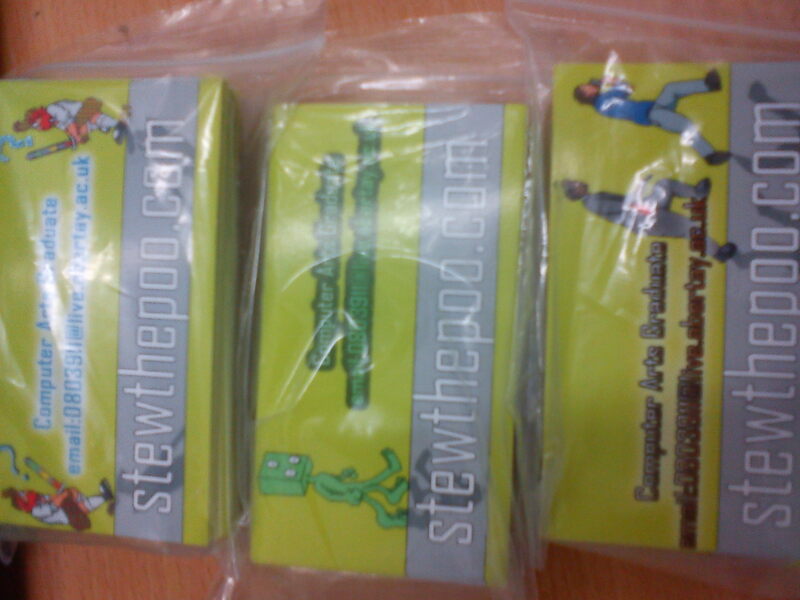 in other news the business cards have arrived! had a spot of bother getting the label onto the mega drive box for patriot, since whitespace doesnt have any working color printers. very bizarre.